Fernbank Museum's Pirate Day January 18! Avast me hearties! 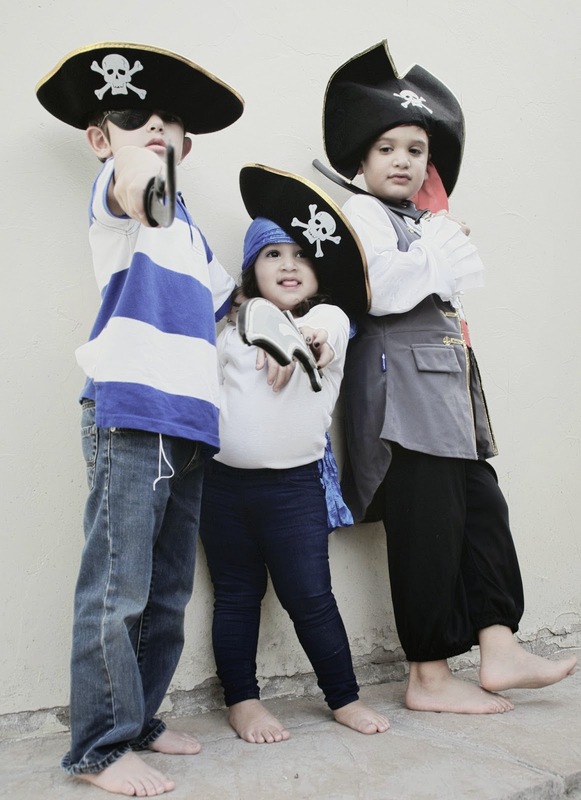 Set sail for a swashbuckling adventure at Fernbank’s Pirate Day! Always a swash-buckling good time, Pirate Day returns to Fernbank this Saturday from 10 a.m. to 2 p.m.
We’d rather walk the plank than throw away old newspapers! In this crafty activity, wee pirates will make their own swords out of newsprint. Atlanta Pirates and Wenches Guild10am-2pm, Museum-wideAhoy mateys! Keep an eye out for our special pirate guests. Don’t be a scallywag! Ye needs a proper pirate name and we’ll give you one. Arrrgh! Only the bravest pirates are up to this test of balance. Because every proper pirate needs a tattoo. Thar be treasure awaiting one lucky winner that finds the correct answers to these Museum-related questions.